The Hubble Space Telescope has captured series of stunning photos of Saturn, showing the planet’s spectacular and breathtaking auroras over a period of seven months in 2017. On Earth, auroras are generated by solar winds, which interact with charged particles mainly protons and electrons in our magnetosphere. These charged particles then rain into the ionosphere and travel along the planet's magnetic field lines to the poles, whereby lights occur in the night sky, as other particles such as oxygen and nitrogen interact with each other. 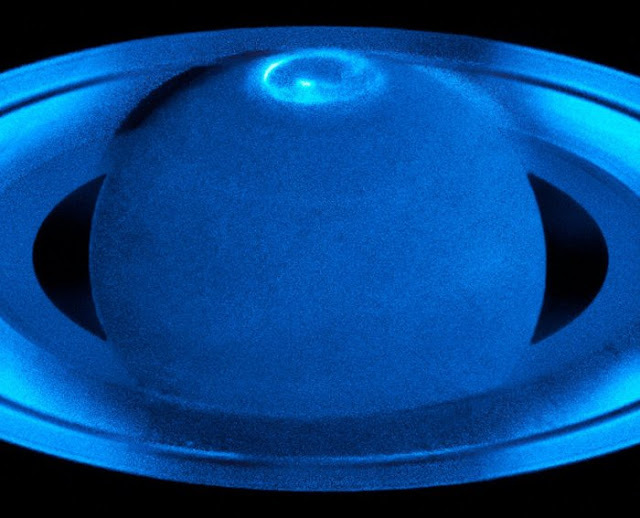 The space-based telescope use Space Telescope Imaging Spectrograph to study Saturn’s auroras in its northern hemisphere before and after the summer solstice. As previous Hubble observations of Saturn’s auroras revealed the presence of radio wave activity which is also associated with Earth auroras. Other planets have auroras too such as Jupiter, Saturn, Uranus and Neptune, also some exoplanets show some evidence of auroral activity. 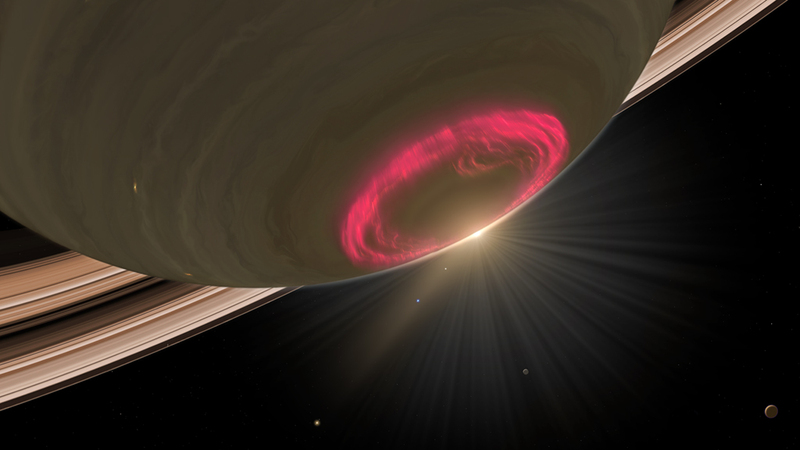 However, auroras are unique to each planet for instance Jupiter’s permanent aurora is not caused by solar wind but some mysterious mechanism yet to be discovered. And while Saturn's main auroral ring seems to be solar wind-generated, there are patches of it that are not, which is still a mystery.